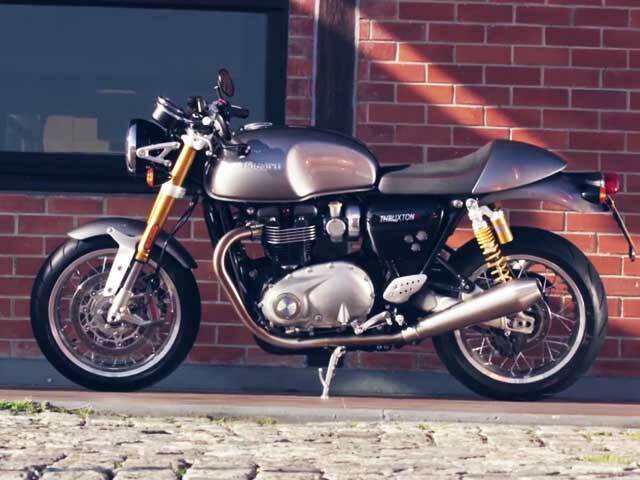 The Thruxton is a Cafe Racer and the only one in Triumph's line-up. The design of the bike harkens to the 1960 and the paint and the stripes remind us of that. It gets a single seat and the twin pod instrument cluster gets an analogue speedometer and tachometer which brings out the old school design. The Thruxton is powered by the same 865cc parallel twin air-cooled engine that powers the Bonneville. The engine churns out 67bhp and is on the heavy side as it weighs 230kgs. The Triumph Thruxton is available in two colours ? Brookland Green and Phanton Black.